Two Dutch University Teams have unveiled their new solar cars for the 2009 Australian World Solar Challenge (the 10th Challenge). The WSC runs over 3,000 km from Darwin in North Australia to Adelaide in South Australia. The start will be on October 25, 2009. 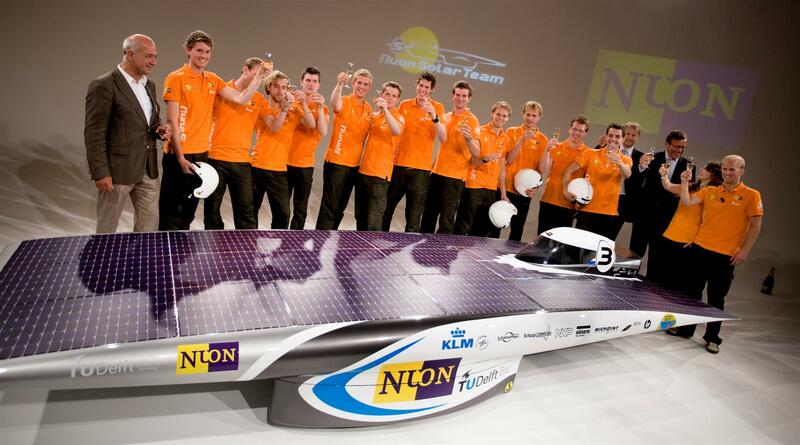 The Nuon Solar Team consisting of 14 undergraduates from TU (Technical University) Delft, led by coach Wubbo Ockels, the only Dutch Astronaut, here left on the photo, have unveiled their entry for the unofficial world championship for solar cars. Nuna5 is ready for the team’s 5th title! They have refined two innovations of their former model: The cantilever wing design that enables them to turn the wing with solar cells to the sun and the Fresnel lenses to get more sun rays on the solar cells. To me it seems very odd that the “Official WSC Site” gives hardly any information about the 2009 edition. The event evolved from an experiment by Danish-born adventurer Hans Tholstrup who, sponsored by BP, designed the world’s first solar car, called Quiet Achiever, in which he completed the BP Solar Trek, traversing the 4052 km (2,518 miles) between Sydney and Perth in 20 days. 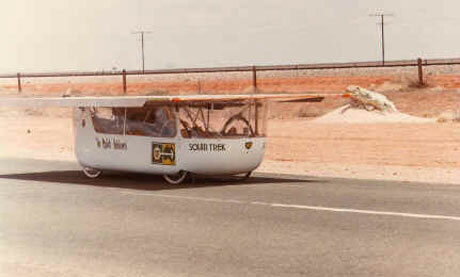 That was the precursor of the World Solar Challenge originally held every three years to one held every two years. After the 4th race Hans Tholstrup sold the rights to the state of South Australia (source World Solar Challenge Wiki). The Wiki List of Solar Car Teams was handy for researching this post. A general Solar Cars site. I believe that all parties involved have a task in bettering their communication. Teams involved communicate in their local languages and there are many loose ends.